This set includes a black wood display stand. 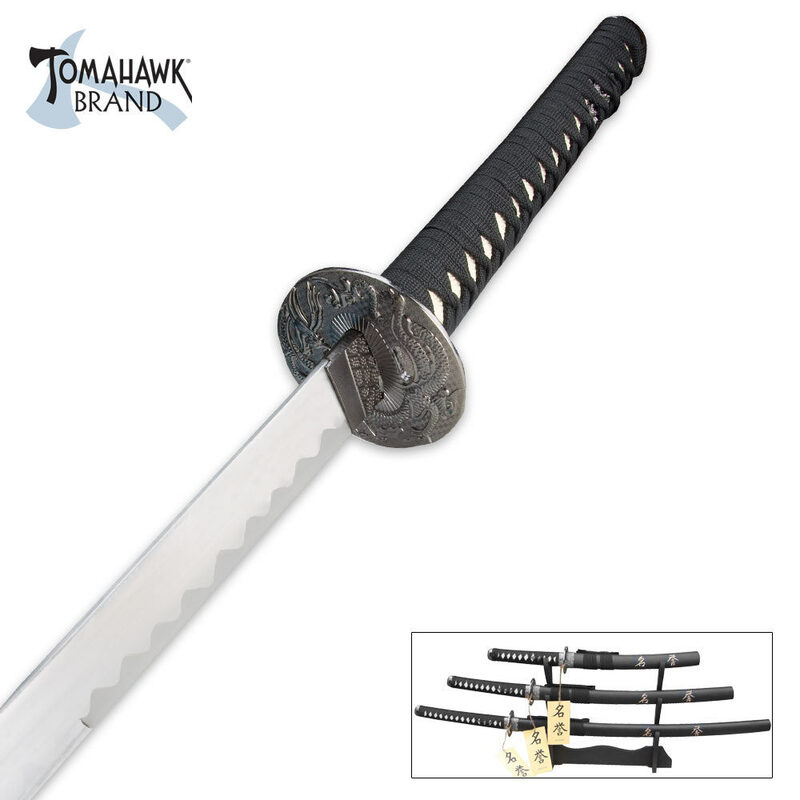 This Oriental Dragon Samurai Sword Set is a 3-piece set is great for beginner and life-long collectors alike. Each sword is equipped with a carbon steel blade, white ray skin and black nylon-cord-wrapped handles, which are accented with antiqued metal tsubas, menukis and pommels. The black wood sheaths are adorned with coordinating cord wrapping and furnishings and also feature the Japanese word for "Honor". This item is amazing. I just sat and looked at the blades for 15 min after they arrived. Very well crafted. Good for display NOT sparring. Just love it. Carbon steel does leave a black residue on your fingers but thats no problem. Thank you BUDK!!! !